*Open House Saturday 9/8 11AM-1PM* Come and see this tastefully updated home in the quiet Northborough Heights neighborhood. 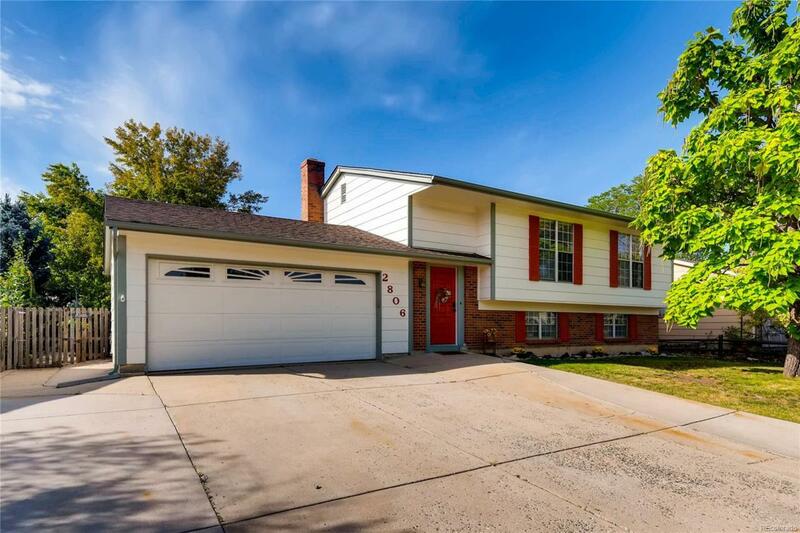 This 4 bed, 2 bath home features an updated kitchen and master bath remodel. The over-sized 2 car garage offers covered parking and plenty of storage. Enjoy spacious walk-in closets on the main level, an abundance of natural light and entertain with this open and warm floor plan. Cozy up next to the fireplace with a good book or enjoy the views from the deck in the backyard that overlooks a large yard, basketball court, raised garden beds, and utility shed. No HOA, bring your camper or toys and use the additional parking on the side. New roof in January 2018. Situated in a friendly community within award winning Adams 12 Five Star School District, minutes from shopping and dining. Easy access to I-25, Highway 36 and less than 10 minutes from Lightrail station. Offered by Keller Williams Avenues Realty.